Revitalising rosemary bath salts. 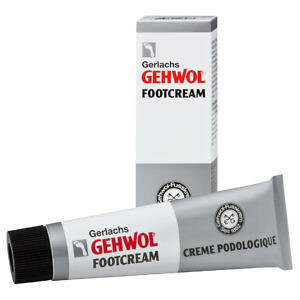 Cleanse, refreshe and revive the skin. 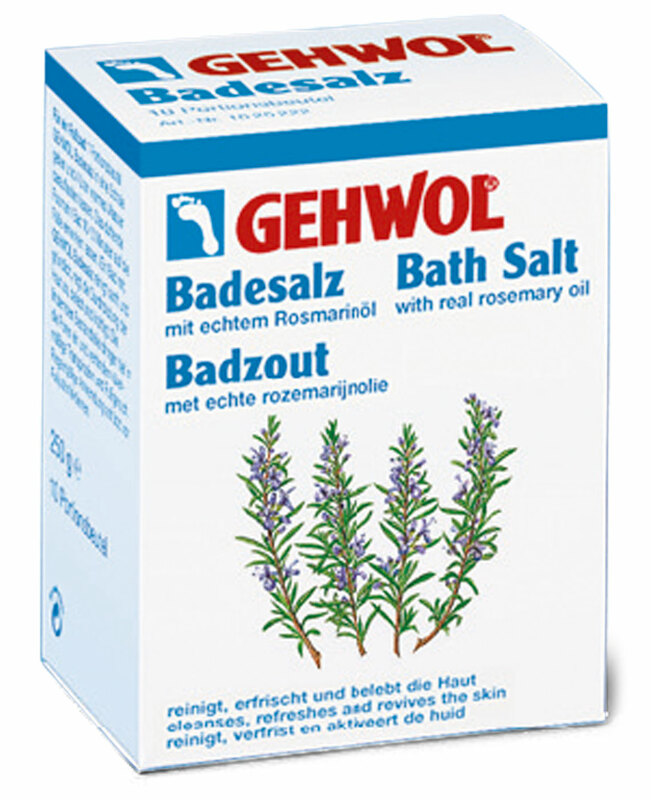 Bathing with Gehwol Bath Salts cleanses softly and thoroughly, stimulates the circulation and revitalises and strengthens the skin. 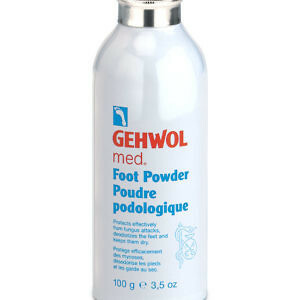 The soothing ingredients are absorbed deep into the pores and prevent excessive perspiration and foot odour. 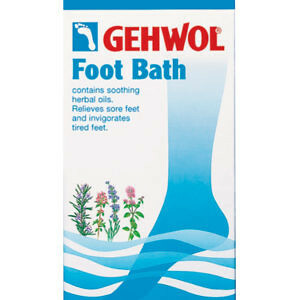 Can be used as a foot bath or for a full bath. 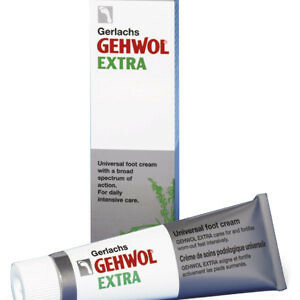 Regular use protects against infections. During bathing a fine and discreet scent of rosemary is produced and the water becomes silky smooth. Massaging with a brush under the water intensifies the soothing effect.